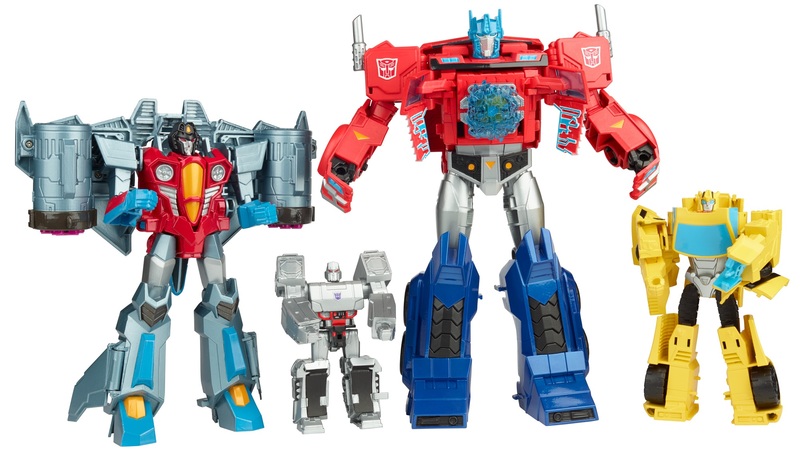 Continuing their week long Toy Fair Toy Reveals, Hasbro has unveiled (thanks to io9/Gizmodo) figures from the upcoming Transformers: Cyberverse toyline. Confirming previously known rumors, the toys look quite identical to the Transformers Evergreen designs and even share similarities with the Transformers: Authentics toys for the budget market. You can check out full details along with the mirrored images, after the jump. Join with TFW2005 for our coverage of New York Toy Fair 2018, this weekend. I know it's completely nuts – you just don't do that if you have any sense you make all the characters across all the sizes and each new wave you juggle them around. Released 3 Starscreams at the same time just sow's brand confusion. They did the same thing with Nu-RID when they released a wide selection of Soundwaves in short order… very confusing. I'm rather disapointed as when I saw the "Busy Book" designs I though… "Oh those look like they have potential" – I never imagined that art would look so unlike the toys. It's like Hasbro wants the Chinese to take their ideas and do it better. Am I the only one who thought toys would get better over time – not reasch some high around 2010 and then get progressivly worse ever since (overall). 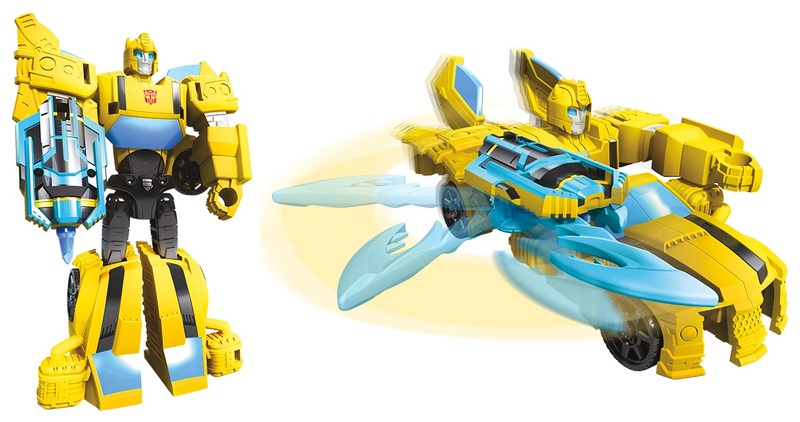 That toys just makes me flinch – Nu-RID had enough design compromises already – but something like Bumblebee wasn't that different from a normal Deluxe. These are far far away from Deluxe quality – heck it terrifies me to contemplate what the Neo-WFC line will be like now. with the extensive use of Cybertronian mode I foresee design short-cuts aplenty ahead. IMO he'd make a great CHUG repurposed Shockwave until we get a proper Deluxe or Voyager Shocky who turns into a gun. I think the only one that\'s actually worth investing in (in my opinion) is shockwave. I like his robot form close to the g1 series, and the fact the he has a spider tank viechle form that looks cybertroinian is pretty sweet. Even the small Movie Legends and Cyberverse toys had full transformations. And I guarantee you those probably cost the same as these budget-wise. Oh yah, I'm certain too, but if they DID have proper alt modes, why haven't they just shown them off yet? Again, Megatron not having his cannon makes the idea of him turning into a full tank confusing. I don\'t shockwave should have a human viechle form, but again that\'s my opinion.